Posted in: Nashville Wedding Venues, Rustic Country Weddings, Style Shoot. 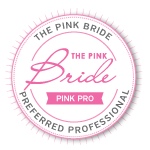 Tagged: Caprice Palmer, Colorful Wedding Flowers, Enchanted Florist, Joe Hendricks Photography, Legacy Farms, Nashville Wedding Florist, Nashville Weddings, Wildflowers. 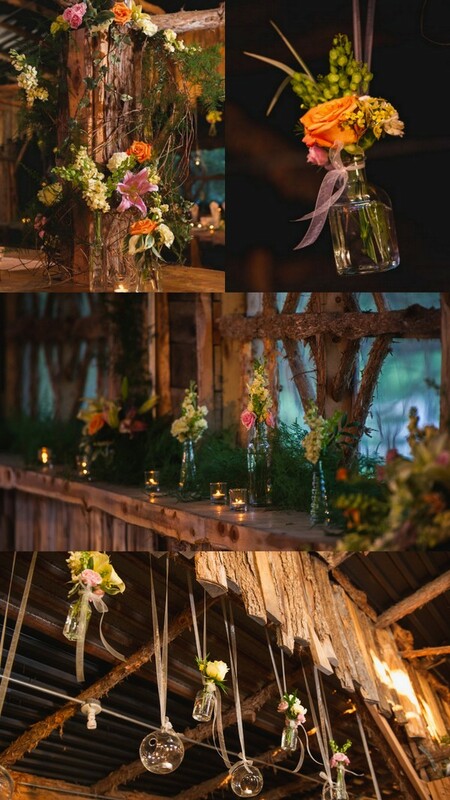 Today we are sharing the final installment of our recent Legacy Farms style shoot and we saved the best for last! 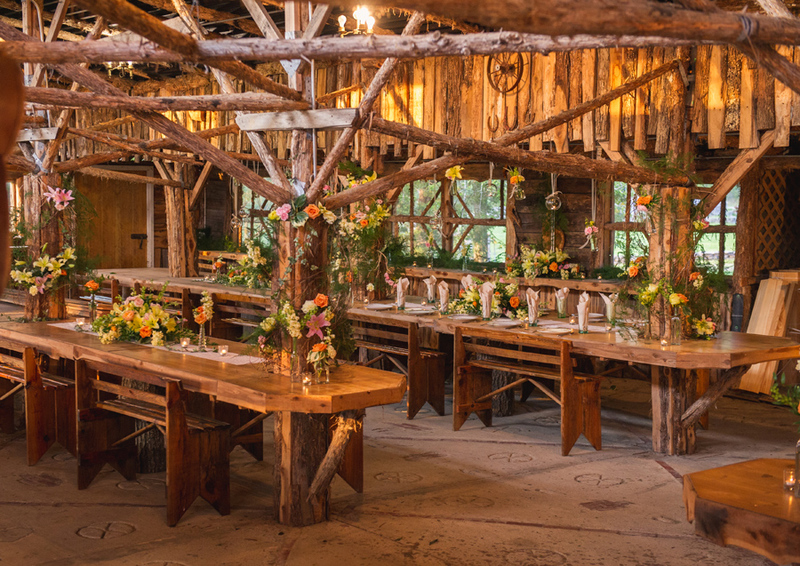 Building on the rustic decor and amazing texture at Legacy Farms, today’s space is reminiscent of a wildflower wonderland. 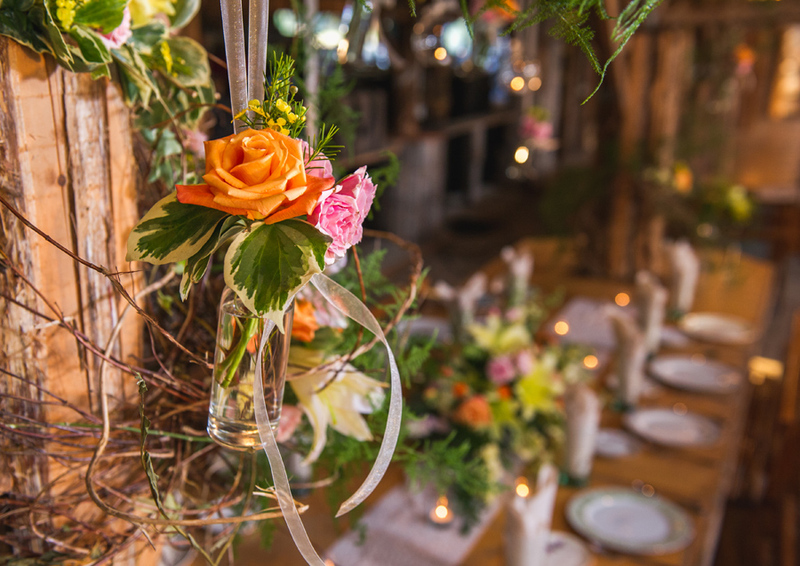 A rainbow of bright colors immediately draws you in but as you look closer the organic elements and natural texturea ties back to the venue itself. Suspending the delicate glass vases with ribbon adds a softness to the space and an element of playfulness. The simple and causal place setting lets the flowers be the focal point while still adding interesting details and whimsy. For the bride looking to bring the outdoors in this unique reception spaceis a show stopper, indeed! And it works with many budgets as well… couples could choose to highlight their bridal party tables or a sweetheart table with more intricate decor and then opt for my classic table centerpieces for the guests’ tables as a less costly alternative. Once again Joe Hendricks served as the talented photographer for the images below. 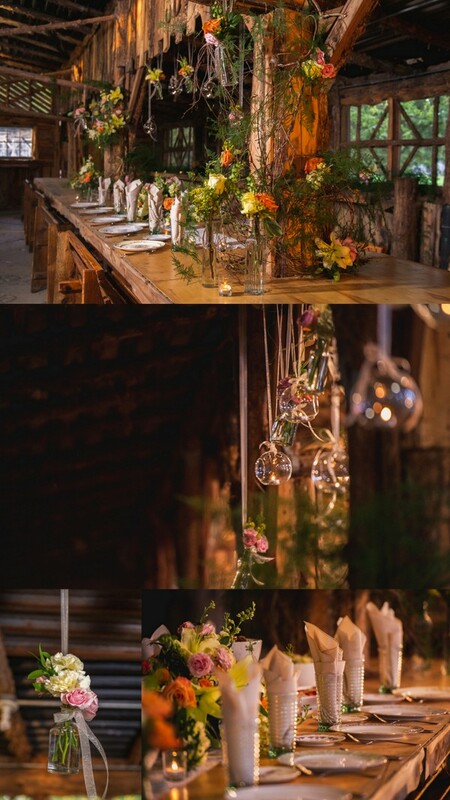 You can see all of his images from our big day of wedding styling on his website, here. Biggest thanks to everyone involved… as always it was great fun and we can’t wait to do it again!